Her Highness Princess Happy Birthday 9" Paper Plates 8ct. 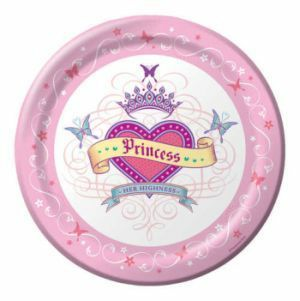 Her Highness Princess Happy Birthday 7" Paper Plates 8ct. Her Highness Princess Happy Birthday Lunch Napkins 16ct. Her Highness Princess Happy Birthday Beverage Napkins 16ct.